Prague College is delighted to be an official partner of the largest, and longest-running, English-language theatre festival in continental Europe. Over the years, many of our students and lecturers have been involved in Fringe activities, from performance to production and graphic design. 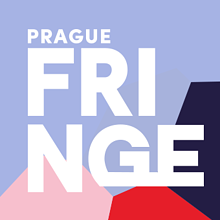 Since its humble beginnings in 2002, the Prague Fringe has grown in both size and popularity. From an audience of only 400 people in the first year, the event now attracts around 6000 keen and satisfied attendees each year - of all ages and from all walks of life.